I had really intended to have a bunch of scheduled posts ready for when Lord Crumb came to visit. However, it took much longer to clean the house than I thought it would, so much so that I finished just before he arrived. Since then, we’ve been too busy playing Trove and other games, visiting museums, eating out/ordering in massive amounts of food, and fiddling around with the mini-computers he brought over. So I just wanted to make a quick post saying that I’m not dead and we’re both greatly enjoying our vacation together. 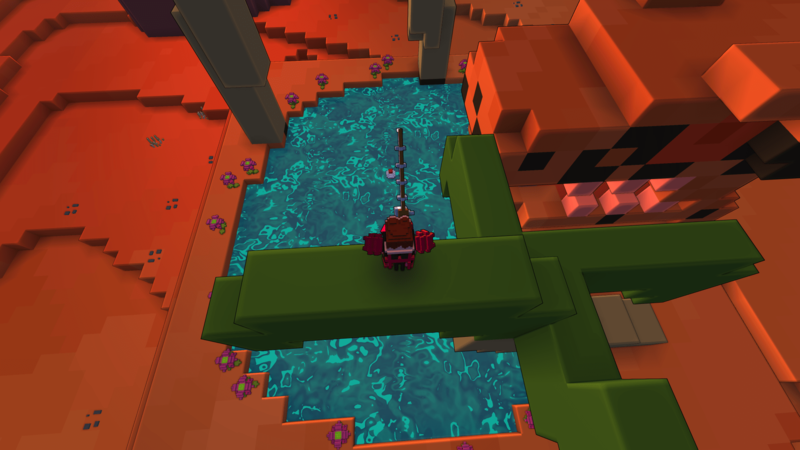 It’s unlikely that I’ll write another post until after July 12 so here’s a screenshot of me fishing in the desert while on top of a palm tree.